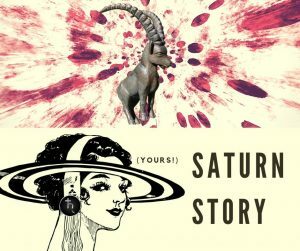 Saturn will hit the half-way mark (15°) of its journey through Capricorn on the 1st of February, repeating over this degree in retrograde motion at the end of July/beginning August and forward motioning over the same degree for the third and last time at the end of October/beginning November. I thought this might be a good time to hear what effect the Saturn transit has had on those people with personal planets (Sun, Moon, Mercury, Venus, Mars, Jupiter and Saturn itself) in the Cardinal signs (Aries, Cancer, Libra, Capricorn). The most noticeable aspects are the more difficult ones so I’d like to hear from people who have experienced the conjunction (the energies of the two planets involved combine as one with the transiting planet taking the lead), the opposition (someone or something “out there” is doing something to you and you either blame them for the results or you learn the lesson from their actions) and the square (an action based on tension of some kind which forces you to take a mode of action that is unfamiliar and usually uncomfortable). Personally I will have to wait until Saturn reaches 19° (three passes due to its retrograde period) when it will oppose my natal Venus so at the moment I can’t add anything more to this post! Any volunteers willing to tell their story?